With more roller coasters than any theme park in the world, Six Flags Magic Mountain in Santa Clarita, California, is billed as the “thrill capital of the world.” But even among the playground of mammoth rides, “Goliath” stands out. A true behemoth, complete with a staggering 255-foot drop that peaks at 85 mph and 4.5 G’s, Goliath makes a lot of would-be riders waiting in line reconsider their decision. Ryan Ramos, 28, was one of them. On a fun day out at the park with The Salvation Army Canoga Park Adult Rehabilitation Center (ARC)—just a quick trek up Interstate 5 from the park—Ramos hesitated when Captain Troy Cook asked him to go on Goliath. “I don’t do big rides,” he said. This, however, wasn’t just a roller coaster for Ramos. It paralleled another giant he was battling: his recovery. Ramos came to the Canoga Park ARC in April 2018, shortly before Captains Troy and Felicia Cook arrived as Trainees-in-Charge. “I was a complete mess,” he said. A native of nearby Santa Paula, Ramos’ past haunted him. His father overdosed on heroin when he was 3, and his mother died of breast cancer when he was 15. His addiction came to a particularly painful head, due in part to his father’s death. Ramos served two years in Santa Barbara County Jail. After being released, he steered clear of trouble for about three-and-a-half years, living in Camarillo with his aunt. But staying sober proved difficult, and missing his parents would soon kickstart the cycle all over again. Ramos spent most of his time doing whatever he could to avoid arrest, but according to him, it was his next arrest that saved him. “When I was in jail, I asked for a flier for programs outside of Ventura County, because I needed to get out, and go somewhere else,” he said. Ramos heard the Canoga Park ARC had a reputation for being tough, but he thought that was what he needed. When he arrived, he found that to be even more true than he expected. Ramos said it felt like he was getting picked on. It began to wear him down. One day, Ramos said he wanted to leave. It was chapel day, so Cook advised him to first attend the service. If Ramos still wanted to leave afterward, he was free to go. Shortly thereafter, Ramos turned a corner at the facility when he made the jump from working in the warehouse as a clothing runner to driving trucks. As graduation approached, Ramos began to wonder if the ARC would hire him. So he talked to his truck supervisor, and filled out an application. 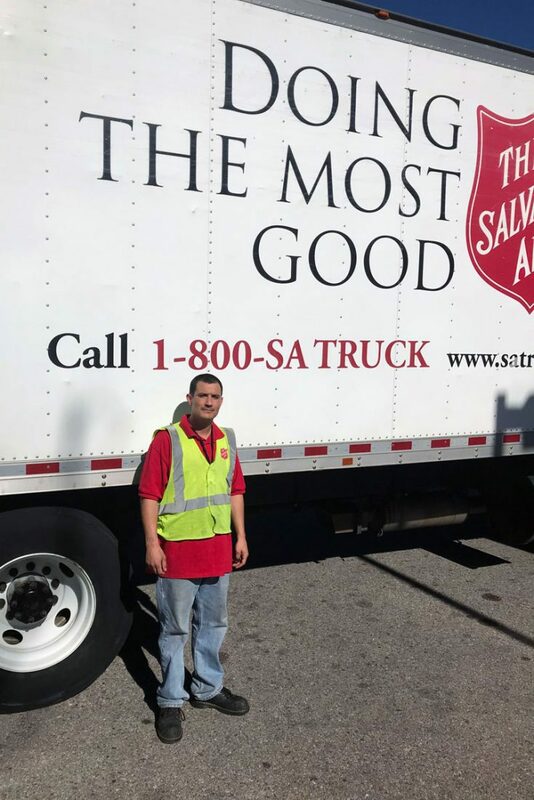 In December 2018, The Salvation Army brought him on board. Ramos is energized when he works, because he’s clearing hurdles and building confidence. Back at the theme park, after some deliberation, Ramos eventually decided to conquer his fear of giant roller coasters. He strapped in and the ride started moving. This was it. There was no turning back. He chugged up the first hill and shot straight down the world’s biggest drop, before experiencing a moment of total weightlessness.